Complete (Canon DSLR based) filming kit with stabilisation, lighting and audio + accessories. Save over $500. 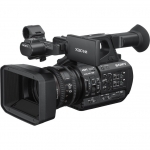 Looking For : 2x Sony PMW-F5 Kits 2x Fujinon 19-90mm with Servo. Sony HDW-HD1200 VTR's, If you have any HD Sony VTR's please get in touch.